Relax and recharge at holistic detox weekend. Nestle in nature at relaxing Bend of Ivy Lodge. 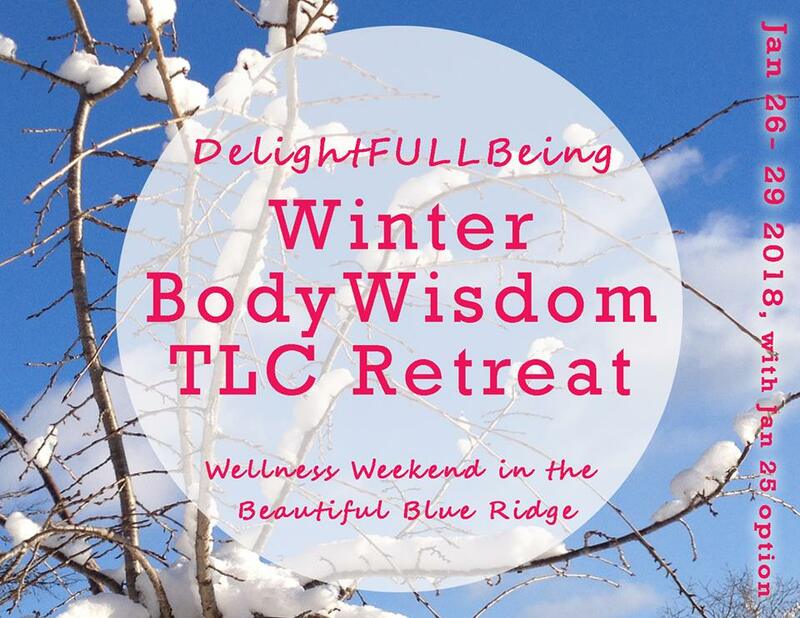 Enjoy yoga + wellness + relaxation surrounded by the magnificent Blue Ridge Mountains. 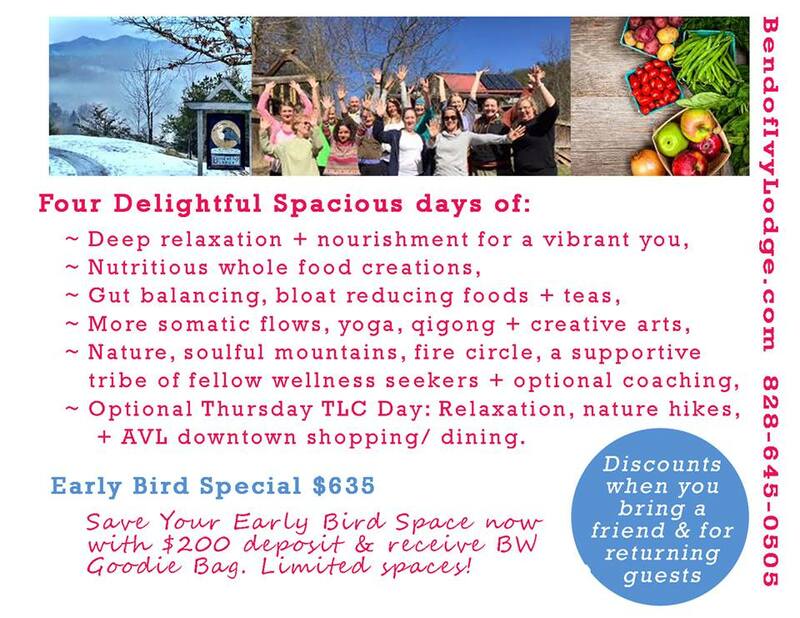 Renew body and mind in relaxing workshops and lots of spacious open time. What to experience on the land? Scenic nature walks, journal or read lounging by Koi pond, Labyrinth walk, goat watching, trail walking/ running, delicious farm to table meals from adjacent organic farm and more. Dates: January 26-28. With an option of arriving on the 25th for a day of rest and renewal. Deliciously detoxing whole foods meals (perfect for the new year)! Early Bird Special. $635. Retreat fee includes delicious detox meals, comfortable lodging, detox/ metabolic teas and supplements, relaxing yoga and wellness programs. Bring a friend, receive a discount: Enjoy with a friend! Ask us about bring.a.friend discount. Semi-private lodging. (Private room may be available for additional fee). Nutritious and delicious whole food meals. Detoxing teas and herbal supplements. Daily yoga, meditation, nature walks and wellness programs. Located at the amazing Bend of Ivy Retreat Center in Marshall, North Carolina. To register, or if questions, email jldobrinska@gmail.com. Check, credit card or PayPal payments accepted. Checks preferred.